Review: "Sonar: Live at Moods" - Sea of Tranquility - The Web Destination for Progressive Music! The Swiss four piece ensemble Sonar, who are comprised of guitarists Stephan Thelen & Bernhard Wagner, bassist Christian Kuntner, and drummer Manuel Pasquinelli, performed an exciting concert at Moods Jazz Club in Zürich this past May, and it's now being released by 7d Media, titled Live at Moods. To add an extra special piece to this already spirited affair is the appearance of legendary guitarist David Torn, who performs with the band on all but one track and contributes a solo piece as well. Those new to the sounds of Sonar can expect plenty of ominous sonic explorations, the band blending rock, jazz, and avant-garde textures into a thrilling display of musical malevolence, with swells of building tension breaking off into spacey interludes, gentle passages of tranquil beauty, as well as sheer bombastic menace. Thelen & Wagner weave their guitars much like the King Crimson combo of Fripp/Belew back in the early '80s, "Waves & Particles" being a great example of this interplay, ferocious at times yet hypnotic as well. The lengthy "Twofold Covering covers many textures and moods, dynamic rhythms underpinning some spacey revelations from the two guitar masters, while "Red Shift" sees some funky rock riffs and elastic bass lines adding some extra groove to the proceedings, simmering guitar solos then bubbling and boiling before reaching furious crescendos. What's amazing, as you make your way through this CD, is when you have to remind yourself that this is a LIVE album, when the fact is it almost sounds too perfect for a live album, that's how incredible these performances are. "Tromso (Sonar)" is a wonderful slow builder of a composition, a perfect example of how to slowly build tension within a musical framework, and then you have Torn all by himself on "For Lost Sailors", his signature guitar noises and loops creating a monstrous, chilling environment. Sonar closes things up with the upbeat, chaotic "Lookface! ", as vibrant rhythms percolate under plenty of feedback screeches, pinch harmonics, metallic riffing, and Crimson-ish interplay. Wild stuff. 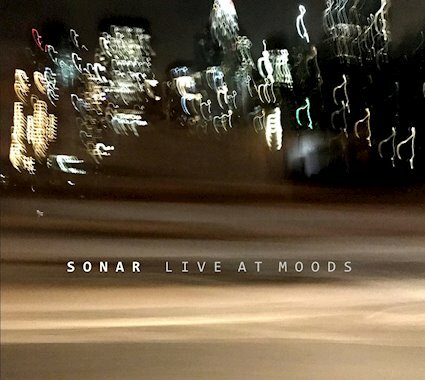 As this is my second experience with Sonar, the first being 2015's Black Light on Cuneiform Records, I have to say I'm mightily impressed with their more aggressive nature in a live environment, as I found that studio effort a tad restrained. Make sure you don't miss this one. David Torn plays on every track of this album except "Tromso", which is played by the original Sonar quartet. "For Lost Sailors" is David Torn's solo piece.